Many Central Americans fleeing general gang violence are not eligible for asylum under current law, according to former Miami immigration judge who spoke with NPR. 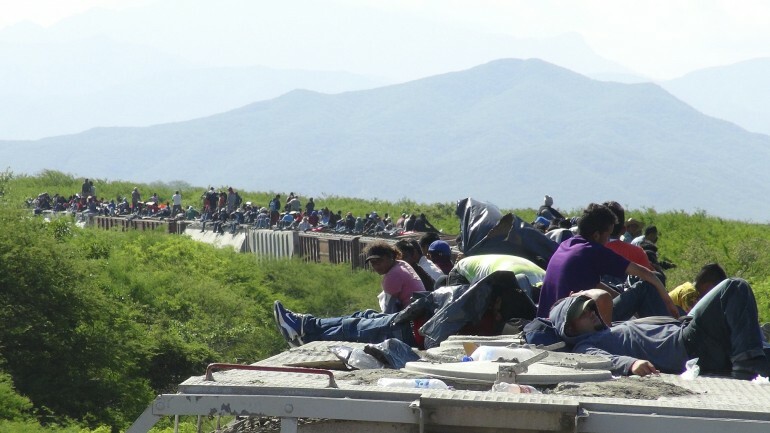 Mark Metcalf says that few of the hundreds and possibly thousands of Central American migrants are currently applying for asylum in the U.S. don’t meet the strict standard under current law. Refugees must prove not only that they have fear of returning to their own countries but also that they are part of a specifically targeted social group such as a religious or ethnic group. "It's a question of what the law says versus what our compassion indicates," Metcalf told the radio station. That is the battle in the courts. On capitol hill, pro-migrant groups are pushing an executive action that would admit more immigrants more readily through a different visa program: Temporary Protective Status. In January, 20 Democratic Senators petitions Obama to grant TPS to the Northern Triangle countries, which have some of the highest homicide rates in the world. A TPS designation from the State Department for Honduras, El Salvador and Guatemala would provide immediate relief for an estimated 1.5 million of the immigrants in the U.S. without legal permission. Immigrant groups argue that at least 83 migrants have been killed after being deported, and that immigrants don’t have adequate legal representation at their asylum hearings. Donald Trump Anti-Syrian Refugee Comments Helping ISIS?